Marvel is wrapping up the ongoing Star Wars: Darth Vader comic book series next month with issue 25 hitting shelves on October 12th. The book, which debuted in February 2015, was one of the first series announced from Marvel and so far Marvel has yet to announce a replacement. It looks like they are saving such an announcement for next month's New York Comic Con, but the first details about the new series have been released by way of Marvel's December solicitations. According to the solicitations, Darth Vader writer Kieron Gillen will be penning this new series with art by Kev Walker (Uncanny Inhumans). There will be two issues in December. 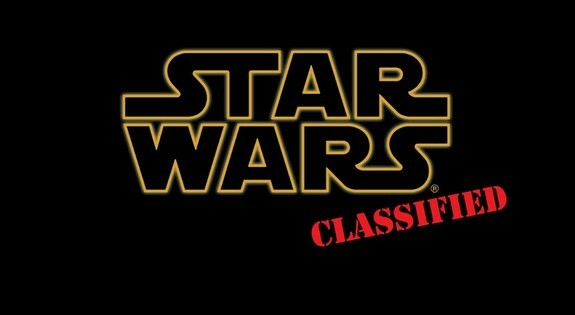 Some have speculated that the new series will pick up on the story of some of the characters from Darth Vader, specifically Doctor Aphra and her droids BT and Triple Zero, just without the presence of the Dark Lord of the Sith looming over them at all times. 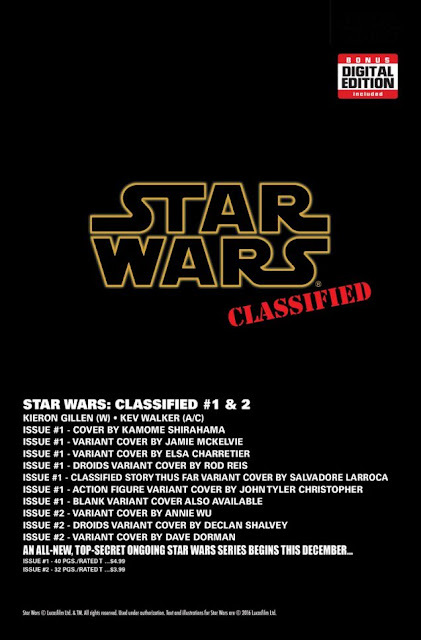 The fact that one of the variant covers (listed above) is called "Droids Variant" may lend some credence to that theory.